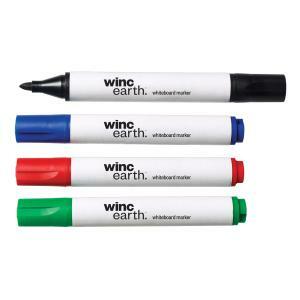 These Winc Earth Recycled markers use over 60% less plastic than traditional markers. The barrel is manufactured using recycled paper and the alcohol based ink is xylene-free. The assorted box of 4 contains 1 each of black, blue, red and green.